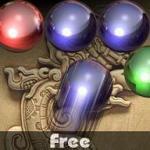 Maya Bubbles Touch has the awesome gameplay as the most popular versions of Bubbles have! The idea is to create a group of at least three bubbles to explode them. Bubbles that are not attached to anything get dropped down. How good are you?